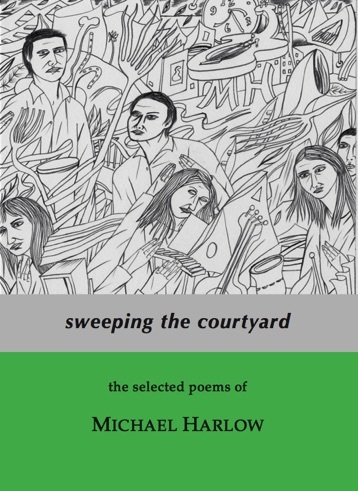 "When I first read Michael Harlow several decades ago, his impact had much to do with the distance between what anyone else here was interested in doing, and his going about his own poetry in a way that seemed both singular and confident. It was at a time when New Zealand poets often seemed to believe that by ventriloquizing American voices they were closer to where ‘poetry was at’. What struck me was that here indeed was a genuine American inflection, one tutored not only by the shimmering stature of Wallace Stevens, but by lesser though no less authentic poets like Robert Lax and Thomas Merton, with their commitment to European and philosophical traditions a long way removed from what we here attended to. From then until now, Harlow has given us a poetry of formal grace and engagement with ideas. It is a poetry steeped in myth and common memory, in politics and shared events, as much as offering ‘the privilege of ordinary astonishments’. It is a habit of writing that constantly addresses new forms, taking the risks that come with pushing boundaries, while maintaining a tone so distinctively his own. What, to my reading of it, so marks a Harlow poem, is its reach for the intelligence of feeling, for emotion as idea, and for metaphor’s ease with both. When asked how he did it writing so many poems, one for every day of the year in happy weather or sad, he replied I don’t know. I am always thinking about words wanting to be music all the time, except when I’m not. And then he said I begin by sweeping the courtyard every day of the year, except when I don’t, every day of the year. And then he added, from this I am thinking who would want to silence any song. Michael Harlow was born in the United States and arrived in New Zealand in 1968. 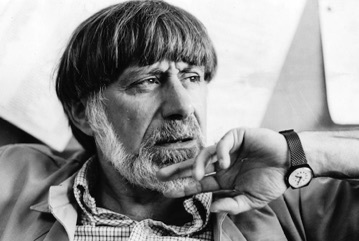 He has published seven poetry collections: Edges (1974), Nothing but Switzerland and Lemonade (1980), Today is the Piano’s Birthday (1981), Vlaminck’s Tie (1985), Giotto’s Elephant (1991), Cassandra’s Daughter (2005, 2006), and The Tram Conductor’s Blue Cap (2009, Finalist National Book Awards 2010). He has been poetry editor of Landfall and Robert Burns fellow at the University of Otago. In March 2014 he received the Lauris Edmond Memorial Award for Distinguished Contribution to Poetry in New Zealand.